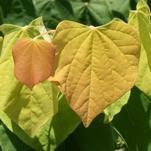 Early spring is an excellent time to plant everything from bulbs to vegetables to perennials, shrubs and trees. Several weeks of milder weather allows roots to grow deep into the soil before harsh summer temperatures set in. Every year Garden Debut® introduces a collection of Great New Plants™ and Trusted Selections™ that have been thoroughly tested for long-term performance in your garden. For Central gardeners, we’ve compiled this list of superior landscape plants that improve home value and create atmospheres for your family and friends to enjoy. 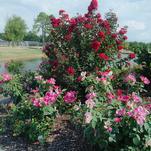 Every year Garden Debut® introduces a collection of Great New Plants™ and Trusted Selections™ that have been thoroughly tested for long-term performance in your garden. For Southern gardeners and gardeners in warmer coastal climates, we’ve compiled this list of superior landscape plants that improve home value and create atmospheres for your family and friends to enjoy. 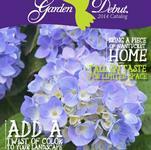 New Fuchsia Glow™ Hydrangea is a repeat blooming hydrangea that provides glowing pink color in alkaline soils or vibrant, blue-purple blooms in acidic soils. 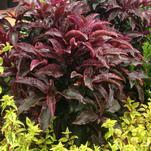 This great new plant from Garden Debut® was selected for its prolific blooming, vibrant fuchsia bloom color and compact growth habit. Color is #1 on the wish list of landscaping demands, and Red Hot Embers™ Ardisia delivers stunning foliage color year-round, plus clusters of brilliant red ornamental berries from October to April. Stunning hot pink dappled leaves turn maroon in winter, while clusters of bright red berries last seven months per year. 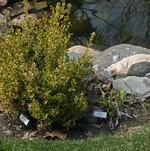 During our visit to the Better Homes & Gardens® Test Garden this week, we viewed two Golden Dream Boxwood PP16052 that had not only survived, but thrived in the USDA Zone 5 winters of Des Moines, Iowa. 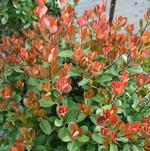 Redbird™ Indian Hawthorn is a mounded, evergreen shrub with dense uniquely colored foliage. Desired primarily for it’s compact size and low maintenance, it also features burgundy-red new growth the color of a Robin’s breast that turns dark green as it matures. 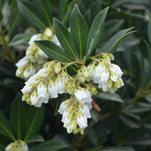 Southern Lady® Pieris PPAF is an upright, evergreen shrub with spreading branches and dense rosette foliage. 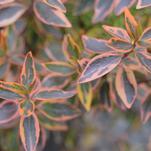 In winter pinkish-red flower buds adorn the shrub, giving it a festive holiday feel. By early spring the flower buds blossoms into delicate, slightly fragrant, white pendulous flowers. 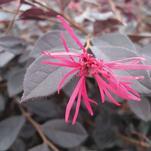 Named for the brilliant, deep red gemstone, Garnet Fire™ Loropetalum is an ideally-sized evergreen shrub (actually “ever-red”) due to its outstanding, shiny, dark burgundy foliage. Colorful deep maroon-red leaves persist throughout the year in zones 7-11, and adds a blaze of color to the winter landscape. Princess Crapemyrtles add permanent, reliable color with lowered maintenance to perennial borders. 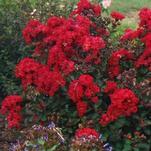 Princess Holly Ann™ is an irresistible little Princess in a brilliant shade of cherry red, a true mounding dwarf Crapemyrtle with a dazzling period of bloom stretching about three months, from mid-summer through fall. An angel in the garden, these new selections of Althea are more compact and more prolific bloomers than their industry counterparts. 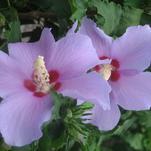 Angel™ Altheas are medium-sized, upright, well-branched shrubs that produce an abundance of large, single flowers in late summer. 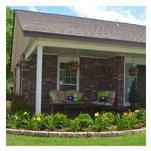 Need a novel addition to the landscape? 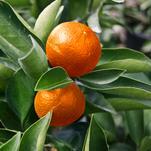 With Orange Frost™ Hardy Satsuma from Garden Debut®, add both nutrition and beauty to the edible garden. These small, spreading evergreen trees are cold tolerant to 15 degrees F. and grow to about 10 feet tall by 10 feet wide. 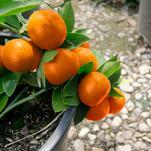 With Bumper Satsuma oranges from Garden Debut®, interior designers and home gardeners in cold climates can enjoy the fun of growing subtropical fruit that yields an extraordinarily generous harvest. 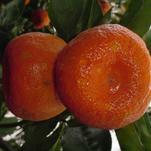 Perfect for the ornamental edible garden, horticulturists, landscapers and home gardeners in Southern states will have the best chances of harvesting fruit when planting delicious, nearly seedless Arctic Frost™ Hardy Satsuma directly in the ground. 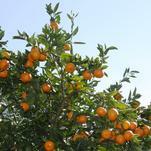 The colorful orange fruits make a striking display contrasted against the dark green, glossy leaves. 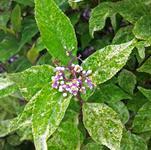 Wine Spritzer™ Beautyberry is the spectacular new variegated beautyberry with dazzling leaves that are heavily speckled and splashed with green and cream on wine-colored stems. 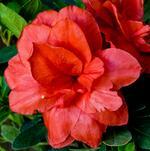 Experience a remarkable new series of evergreen, disease resistant, reblooming azaleas that feature large flowers that appear in spring, then rebloom in summer, and continue blooming until hard frost. 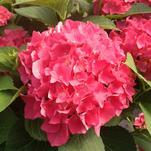 Even high summer temperatures won’t stop this beauty from producing loads of late summer and fall flowers.